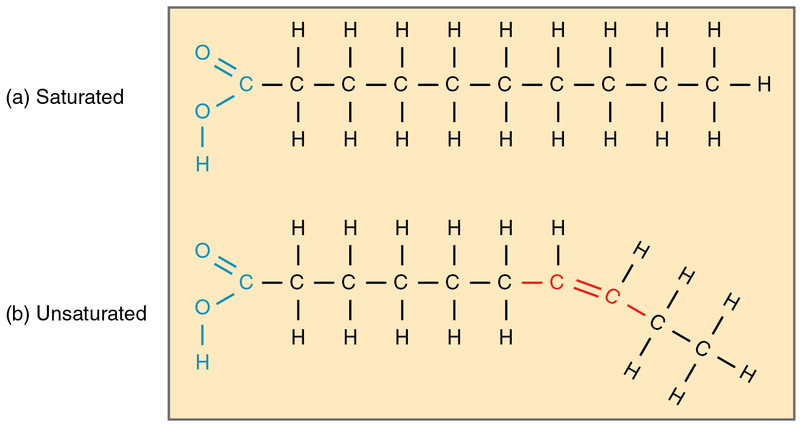 Which of the following lipids is used for energy storage? Which of the following is true for biological membranes? A) membranes are lipid bilayers. B) membrane lipids have both hydrophobic and hydrophilic properties. A) they have asymmetric carbons and can exist in left- and right-handed forms. C) they are capable of moving out from a lipid bilayer. Which of the following transport processes requires no energy? A) the reactions produce acetyl-CoA. C) the reactions produce NADH. D) the reactions occur in the mitochondria. In animal cells, where does fatty acid synthesis occur? A) acyl-carnitines readily cross the mitochondrial inner membrane, but acyl-CoAs do not. Fatty acids are oxidized in the ______. Which of the following best defines an essential amino acid? At the subcellular level where does the urea cycle occur? Transamination reactions require which coenzyme? A) We consume so much alanine that we don't need to make any. B) We can form alanine by transamination of pyruvate. C) We can form alanine by cleaving arginine. D) Alanine is neutral and no neutral amino acids are essential. Which of the following lipoprotein particles are indicative of “good” cholesterol? Which of the following lipoprotein particles are indicative of “bad” cholesterol? Which types of amino acids are ketogenic? A) those that are degraded to pyruvate. B) those that are degraded to acetyl-CoA. A) are synthesized by plants and bacteria, but not by humans. B) can be synthesized in humans. diets has he or she probably been eating recently? Each of the following statements are true for lipoproteins, EXCEPT. B) Atherosclerosis is not linked to high levels of LDL-bound cholesterol. C) Low density lipoproteins carry cholesterol and cholesterol esters. Which of the following statements about cholesterol is FALSE? A) Plant-based foods contain cholesterol. B) Cholesterol can be metabolized to bile acids. C) Cholesterol can be converted to cholesteryl ester for storage. D) Cholesterol is an essential component of all animal cell membranes. A) are able to enter their target cells. C) act through binding receptors. Which of the following chemicals is NOT a second messenger? How does the blood glucose level of diabetics tend to compare to "normal?" A) Blood glucose levels of diabetics tend to be high. B) Blood glucose levels of diabetics tend to be low. C) There is little to no difference between the blood glucose of diabetics and normal levels. use ketone bodies as an energy source?